Get to know the team behind Selby Anda Quality Care. They say it’s a matter of mind over body yet sometimes we could use a hand. Life can throw a few curveballs and take unexpected turns and sometimes the situation at hand goes beyond what we are able to manage on our own.We may watch our parents, friends, family members or people in our community experience hardship and even find ourselves in a state of change. When we watched our own mother suffer a mishap, suddenly her life and needs changed dramatically and very quickly. We were fortunate to be able to provide her with the care to meet her physical needs and comfort, however have always found that her mental, emotional and spiritual welfare would require a more thoughtful, empathetic and more durable approach. We felt that the current model of care, particularly that which has been institutionalised or digitised, failed to actually address the preservation of an individual’s quality of life rather than merely keeping one alive or health accommodated. Selby Anda Quality Care was born to fulfill our belief that everyone deserves to access the world in which they live no matter what their circumstances in the way that makes them uniquely fulfilled and happy as physically as practicable, for health of mind and spirit. Robyn began her quest to heal in 1980, majoring in psychology at the University of New South Wales. 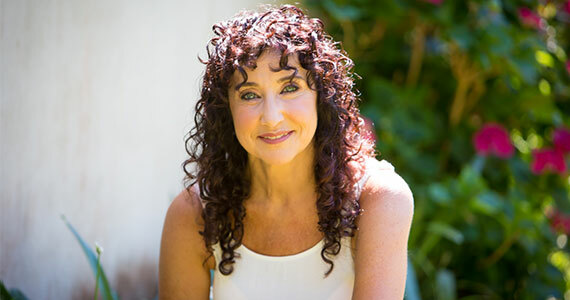 Since then, she’s completed many courses in counselling and become a natural therapist, who practices kinesiology and reiki among other therapies. Robyn’s commitment to professional, personal and spiritual development sees her as an excellent asset for SAQC. Robyn is drawn to understanding how our present and past affect our health, psychically and/or emotionally. Initially attracted to psychology, Robyn has since completed counselling courses in couples and family therapy, as well as crisis counselling. From this, Robyn gained a deeper comprehension of each individual’s unique and holistic needs. A natural therapist by trade, Robyn ran her own clinic from 1996. There she extensively practiced Kinesiology, Reiki, Spiritual Healing, Remedial Massage and Homeopathic Medicines. She also gained experience in aged care treatments, corrective exercises and allopathic medicines. Robyn’s mother was the catalyst that motivated her to closely examine the current model of Australia’s health care. Noting it was digitised and/or institutionalised, Robyn wanted to provide a kind of service that not only met her mother’s physical needs and comforts, but also her mental, emotional and spiritual welfare. From this desire, Robyn worked closely with Suzanna, and together they have crafted a thoughtful, empathic and durable approach to the issue of isolation within health care systems. Suzanna’s desire to help people began in Budapest, Hungary where she worked as a general nurse for sick children, and as a duty nurse for the elderly. Since then she’s had over 17 years’ experience in the ‘people person’ business, working in senior leadership roles in HR, IT management and real estate sectors. Known as ‘Zsuzsi’ to her friends, Suzanna is a founding member of SAQC. She was inspired by the needs of her late mother and by her experiences as a Registered Nurse in Budapest, Hungary, working at a retirement village and with children at Laslo Hospital. Suzanna states the reason she was drawn to nursing, human resources, IT project management, and even the real estate industry was due to “a deep-seated desire to constantly improve the professional support given in those industries, by creating solution-driven options”. Her qualifications are numerous including a Master of Arts (Human Resources Management), SAP HR, e-Recruitment and ERP6 ESS/MSS, and PhD student in Social and Natural Sciences. She also speaks fluent Hungarian and English, as well as basic Russian. Zsuzsi has a track record of delivering high quality services and superior professional support, no matter what industry she is working in. In 2010 she was a Founder and Principal Consultant at B.IT Hungary Ltd., a provider of HR and change management solutions. She consulted, organised and worked on personnel development across a range of businesses and industries including Telecommunications, Oil, Manufacturing, Publishing, Retail, and Education. In 2012, Suzanna joined the real estate industry and again succeeded in improving the quality of services on offer. 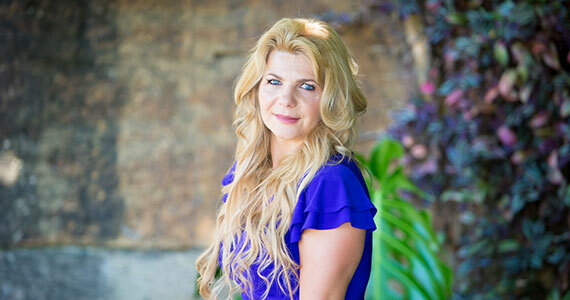 In an industry often known for its ‘take orders, take advantage’ attitude, Suzanna successfully began offering valuable, people-focused expertise, that saw glowing reviews from her clients. One client described her as “someone who has always been a caring, helpful and responsible person who likes helping people”. Another stated “Zsuzsi demonstrated a unique understanding of our family needs.” Rare and wonderful praise in the real estate sector! A warm and energetic personality, Suzanna is sure to look after you or the one you love’s needs and preferences with professionalism, confidence and attentiveness. Motivated by the needs of her late mother, Suzanna is aiming to revolutionize how we look after those in Australia who have need for companionship and friendship. Well-presented and articulate, Michael is SAQC’s administrative support system. He has more than 25 years’ experience in senior and executive management roles in the commercial and private sectors. Michael has a dedicated personality and is committed to leading Selby Anda Quality Care to be a provider of high quality home care. Michael played an important part in establishing Selby Anda Quality Care. He now oversees day to day operations of the business and is responsible for strategic planning. A management consultant by trade, Michael has managed cross-functional teams and departments spanning commercial and academic environments. Michael’s strength sets include: managing compliance, designing and conducting inspections, recruitment of staff, performance management of staff and staff development. He has extensive expertise in project delivery and change management, and lends a managerial focus that complements SAQC’s boutique brand of assistance. 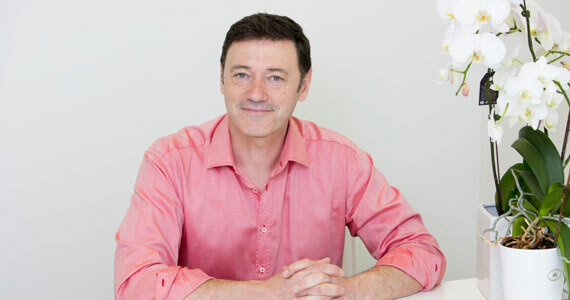 His experience includes management of teams and departments 5 to 70 strong, for significantly sized business and companies across the USA, Japan, Hong Kong, Singapore, Korea, South Africa and Australia. Michael created a consulting methodology for Reuters Consulting, in conjunction with the responsibility and management of the global team. He achieved the project deliverables by assessing the market, sales pipeline, reviewing revenue and related structural bids. At Ernst & Young, Michael conducted IT assessment and strategy, resulting in a portfolio of strategic improvement initiatives. These initiatives identified significant savings across a variety of IT functional areas for clients in industries as diverse as telecommunications, food processing, pharmaceutical, and automotive manufacturing. Elite Logistics is a 3rd party logistics group of companies specialising in the beverages sector and moving in excess of 2.5 million cases. Michael as Chief Technical Officer ensured the maintaining and proprietary development of the IT for the group’s order, warehouse and transport systems across the Australian Eastern seaboard.